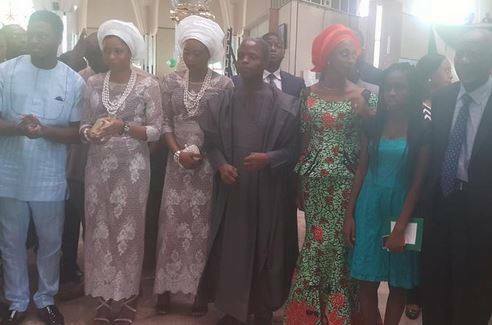 Vice President Yemi Osinbajo led members of his family and friends to a thanksgiving service at the National Christian Center for his successful inauguration as the Vice President of Nigeria. 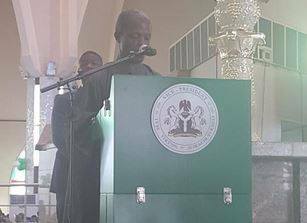 While giving his testimony at the church service, VP Osinbajo said he was divinely chosen to assist President Buhari in this administration. By ensuring that corruption is eradicated and resources meant for all are not cornered by a few, but are used according to law, justice and equity for the benefit of all. The Lord wants a nation ruled only in accordance with law and justice where the guilty are punished and the good is rewarded. This links to President Muhammadu Buhari's inaugural speech yesterday. Sure, you will agree that he emphasized these three clear designs of God" he said .